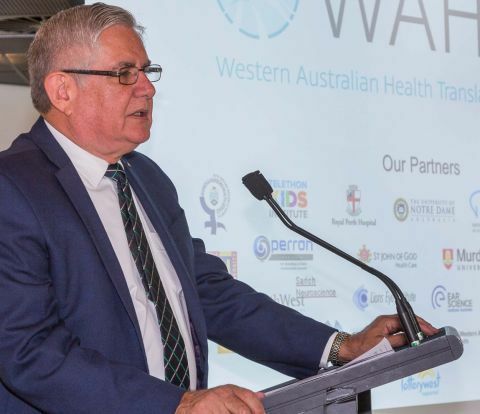 On Monday 12th June, 2017, The Hon Ken Wyatt AM, MP formally announced that the WAHTN has received accreditation as an Advanced Health Research and Translation Centre by the NHMRC. This formal recognition places Western Australia amongst the world’s top centres performing translational research to directly improve patient care. The National Health and Medical Research Council (NHMRC) accreditation recognises WAHTN as a world-class clinical and research facility prepared to embrace and accelerate research translation. In his speech this morning, Minister Ken Wyatt explained that this accreditation places WAHTN as one of the world’s leading centres of collaboration with a focus on practical translation, education and training, and outstanding healthcare. WAHTN was commended for fostering research collaboration across boundaries between general and hospital practice, geographical regions, and health service disciplines. This is the first such recognition for Western Australia and the network now joins the alliance of the other six accredited advanced centres across the country. The WAHTN brings together WA’s major hospitals, medical research institutes, two private hospitals, the WA Department of Health and all five WA universities, to translate health research into policy, practice and innovation. The recognition will deliver significant benefits, including improved access to national level funding and networks, supporting it to continue to build research translation capabilities in Australia. 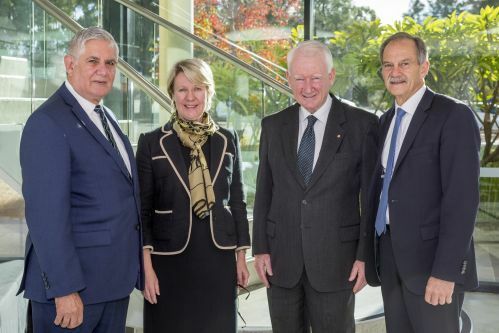 Executive Director of WAHTN, Professor John Challis said the accreditation was a tremendous achievement that raised the status of WA’s health and medical research sector at a national and international level. 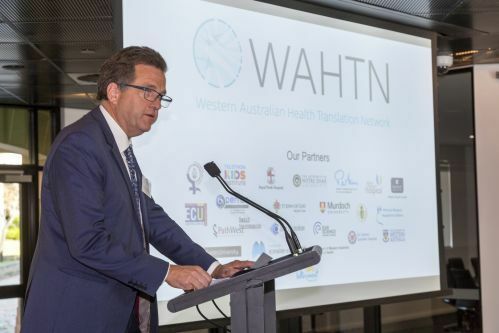 “The success of the WAHTN is testament to the strong collaboration between all partners involved who drive the research, translation, patient care and education programs,” Professor Challis said. “This accreditation will allow us to expand our current research to continue to provide benefits to health researchers across the state and improve the health and well-being of all Western Australians”. The recognition was awarded to the WAHTN following an extensive assessment process and external evaluation by a panel of international experts. 6) Strong collaboration amongst the research, translation, patient care and education programs of the centre. Professor Eeva Leinonen, Vice Chancellor at Murdoch University said “This is a proud moment for Western Australia to receive recognition that its health and medical research translation activities are being performed at an international standard of excellence, and a proud moment for Murdoch University to host this recognition event”. Dr David Russell-Weisz, Director General, Department of Health highlighted that AHRTC accreditation raises the status of Western Australia’s health and medical research sector from a national and international perspective. “The accreditation will boost recruitment to WA of outstanding young professionals, with basic science, clinical and allied health backgrounds who want to work and practice amongst the best in the country. In turn, this will help create jobs and new wealth for the State”. Dr David Russell-Weisz, accepting the AHRTC accreditation awarded to the Western Australian Health translation Network (WAHTN) on behalf of the Department of Health, WA. Further information on NHMRC Advanced Health Research and Translation Centres and the International Panel’s report is available on the NHMRC website.